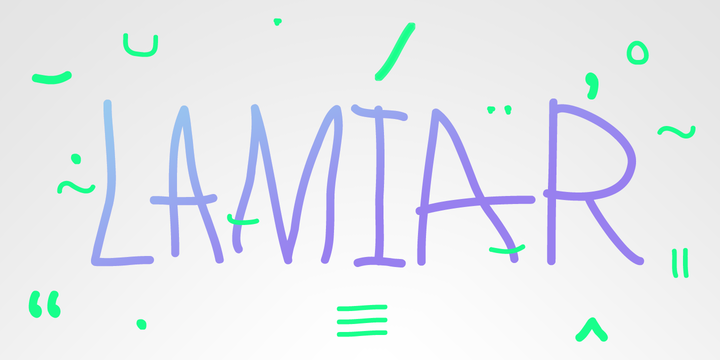 Lamiar is an handwritten typeface created by Julia Martinez Diana and published by Antipixel that is a funny, decorative font which leaves a personal mark on your projects. Glyphs: Basic latin/English letters, Diacritics, Currency,Ligatures, Central Europe, Baltic, Turkish, Romanian, Dingbats & Symbols. A font description published on Wednesday, February 12th, 2014 in Antipixel, Fonts by Alexandra that has 3,667 views.